Nestled between mountain ranges north-west of Sydney, the Hunter Valley provides a weekend to sip, swirl and savour some of the finest regional produce. The valley, a picturesque 2 hour drive from Sydney CBD, is famous for its fertile land and quality vines. Aside from plump grapes and smooth wine, the Hunter Valley is furnished with superior dining and lodging. From sleeping under the stars to ordained resort ceilings, The Hunter Valley can be enjoyed on any budget. Big 4 Valley Tourist Park offers self-contained caravans and tent sites from $30 per night and is close to most wineries. At the opposite side of the vineyard, Peppers Convent boasts luxurious antique boudoirs where $396 a night can be spent simmering in the en-suite spa or in front of a crackling, open fire. For great last-minute deals, browse www.wotif.com - accommodating those after the inexpensive, the inordinate or the in-between. While soft cotton sheets are a tactile delight, the most spoilt of the five senses is taste. Cellar door tasting is the classic way to navigate the Hunter Valley neighbourhoods. Most wineries form a cluster in Pokolbin/Rothbury, however Lovedale and Mount View house a decent selection worthy of the scenic drive. Taste in wine is highly individual and to prioritise wineries is akin to grading musicians at Woodstock. Yet there are optimal ways to fulfill your experience, including venturing outside your comfort zone. Cellar door tasting offers an opportunity to expand and appreciate wines. While you may be a Merlot Man or a Grigio Girl, this is the place to test your palate and learn the differences in grapes, their harvest time and how they produce the vast medley of flavours that orchestrate wine as a beverage. Some estates specialize in particular wines- such as Brokenwood's Graveyard Shiraz and Peterson's Champagne House, which is renowned for its Pink Blush sparkling wine. Monahan Estate is dedicated to environmentally sustainable, low-irritant wines for people who suffer from allergies associated with compounds in ordinary wines. Many wineries have restaurants attached and stores with local produce including olives, cheese, homemade crafts and gifts. No great wine aficionado? No problem! From unique crafts to universally adored foods, this region caters to a buffet of interests. The Hunter Valley is peppered with top quality restaurants serving a diverse menu from filling pub grub to gourmet feasts. With its befitting name, Leaves and Fishes restaurant prepare mountains of sumptuous seafood and an impressive vegetarian and gluten-free menu for lunch or dinner, all washed down with consummate local wines. In closer proximity to most accommodation and wineries, The Cellar restaurant offers lavish set menus, daily lunch specials and delectable desserts. Forget about frugality, at $22-40 for mains, $15 desserts and the cardinal bottle (or two) of wine, this gourmet gala is meant to be exorbitant. For a less extravagant affair, venture through a world of cheese at The Hunter Valley Cheese Co. Treat your palate to a $7.50 cheese-tasting tour through creamy camemberts and pungent cheddars. For a breath of fresh air, Wine Country Ballooning can blast you and a select few into the air, bobbing over the valley in petite hot air balloons. If you prefer your feet on solid ground, lace up your boots and traipse through Yengo National Park to see Aboriginal rock carvings. The revered Bluetongue Brewery will satisfy the blokes while the girls sink into mud baths at Chateau Elan. The Hunter Valley caters to every season however in spring and summer, many wineries host concerts and events. 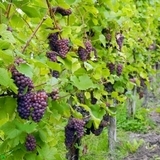 For more information, visit the frequently updated events calendar at www.winecountry.com.au. Exits to the Hunter Valley branch off the F3 Sydney-Newcastle Motorway; in just over two hours, you'll find yourself in the heart of the domain. Escape in style and allow the Hunter Valley to envelop your senses in decadent cuisine, mellow wines and crisp country air. Don't forget about the Hunter Valley Gardens which are so pretty and lots of fun to visit! It's also right near the Tempus Two Cellar Door and the Smelly Cheese Shop which is worth a visit for free cheese and olive samples and really tasty baguettes.